What is grief? The Substance Abuse and Mental Health Administration (SAMHSA) defines it as “the normal response of sorrow, emotion, and confusion that comes from losing someone or something important to you. It is a natural part of life. 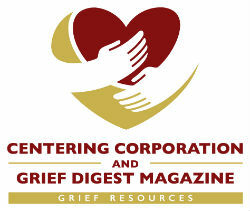 Grief is a typical reaction to death, divorce, job loss a move away from family and friends, or loss of good health due to illness.” Some other causes of grief can be the loss of a pet, the loss of a sense of security and safety – due to an abusive situation, an environmental disaster (manmade and natural), or terrorism. Grief is like a roller coaster with many twists, turns and scary moments. It is that raw place in our soul where we feel the loss - the anger, depression, fatigue, numbness, guilt, anxiety, questioning of faith or reliance on faith, relief, despair and a plethora of other emotions. What I have learned from grief is that it permeates our life and sometimes we don’t even realize that we are experiencing it, especially with those little losses we may experience in our day to day life, never mind the large losses that turn our world upside down. Unfortunately in our society many only associate grief with the loss of a loved one, thus those that need our love and support for grief caused by other losses doesn’t receive the love and support that they need. In fact in our society those that experience the loss of a loved one sometimes get the feeling that they got their three days of bereavement leave, and society is telling them to hurry up and get over your loss, get back to work and get back to normal. Our world is so fast paced now with all of the technology that we have become inpatient if something doesn’t happen immediately. We want to know what is going on half a world away from us instantaneously. We have conversations on Snap Chat that last no more than 10 seconds and go away or are in 140 characters on Twitter. Is it any wonder that society expects those grieving to quickly move on? Back in other time periods such as the Victorian era, people had a year of mourning. They wore black so that others knew they were grieving an important loss. Grievers were recognized, given respect and time to deal with this important loss in their lives. Another lesson that I have learned from grief is that it is a personal journey, another page in the story of our life. How we journey on this new path is based on many things: our age when the loss occurs, past experiences with loss, relationship to the loss, spiritual belief system, and support system, type of loss, personality, cognitive state, and cultural and societal mores. We can experience the same type of loss and yet it will have its own flavor due to the above factors. It is like one of the cooking shows, where all the contestants are given the same main ingredient – chicken. Some will try and tackle the whole chicken at one time, others will break it up into smaller pieces, some will slow cook their chicken, others will pound the heck out of it and yet others will make it the way their ancestors made it and some may never get it cooked. They will all end up with a dish made up of chicken, but it will all look different on their plate, much like our own grief. I have also learned that we need to support one another –especially in some of those other losses besides the death of a loved one. This lesson has come to me in a couple of different forms. One was when I was asked to do a grief presentation for a group of women who had left abusive situations and were currently living at the Domestic Violence Shelter. Here were a group of women grieving on multiple levels – the loss of a relationship (even though it was unhealthy and unsafe), the loss of dreams, the loss of sense of safety, the loss of their personal items and choices – one can even grieve not being able to choose what type of toothpaste you are forced to use due to the circumstances. To see these women excited about a box of spiritual items (many of us consider insignificant such as the items that come in the mail for being on a religious charity mailing list). To witness their excitement of being able to choose an item that they could call their own – a pretty rosary, a St. Michael medal for protection for their child, showed me the importance of reaching out to those who are grieving the other losses of life. In my own personal journey I am experiencing the “Long Goodbye” with my Dad, traveling through the ravages of Dementia. There are those moments where he can’t put the words together to talk to me on the phone, or remember a birthday, or questions about his past. This is a grief that comes in little pieces at a time, one that I am forced to cope with by holding on to those moments in the past to help with this grief. I have also seen the sadness and loneliness of those residents in the nursing home that are facing the end of their lives without anyone coming to visit them, the grief of giving up their homes, independence, mobility and even their pets. It is amazing what a smile, recognizing them by name, and even the visit of one little white dog (Muffin) and one big white dog (Wyatt) can bring to them. They can also give to us, and be a source of mercy. I received a call from my sister that my Dad was not eating and has deteriorated in the last few weeks, she also told me that one of the residents called her over to tell her how concerned he was that my Dad was not eating. This resident is a younger man in a wheelchair with a neurological condition, I think that most would overlook him and discount him in some way and yet his words and concern for my father warmed my soul and heart, as it says in Psalm 94:19 “When the cares of my heart are many, Your consolations cheer my soul”. In conclusion – grief is a part of our lives, I pray that we will be open to recognizing the pain another may be feeling – stop what we are doing and to reach out, to listen, cook a meal and/or just pray for them. We are all in this journey of grief and life together. Jeanne graduated from the University of Massachusetts- Dartmouth with a BS in Nursing. She has had a variety of nursing jobs, and feels blessed to have been a Parish Nurse for the last 17 years in Oklahoma. She facilitates a grief support group and produces a monthly grief newsletter, and was the past president of the Faith Community Nurses Association of Oklahoma. When not working she enjoys bowling with her husband, watching her son compete in Collegiate Bowling Tournaments, and traveling back to Massachusetts to visit her dad.